Astrophotography in late August and early Septemeber feature ideal conditions for spending a full night photographing the stars. The nights are longer, the temperature is warm, yet cool at night, and the breathtaking Milky Way core continues to stretch upwards into the night, as nightfall sets in. 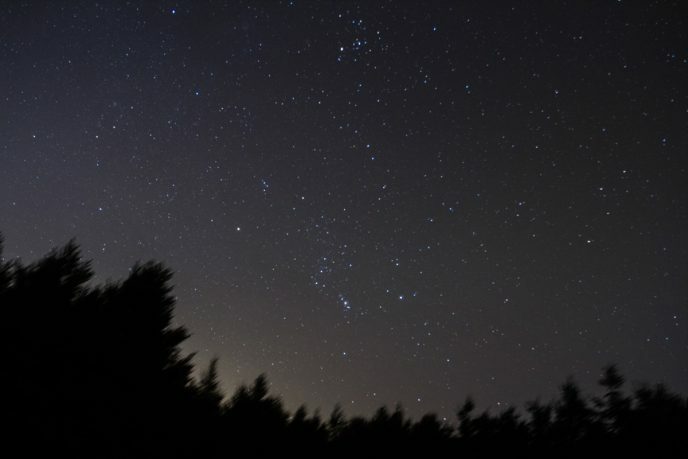 Right now, some of the first stars to “pop” after the sun has receded behind the Earth are Vega, Altair, Deneb, and Arcturus. Even more noticeably present are the intense glowing “wanderers” known as Mars and Saturn in our Solar System. 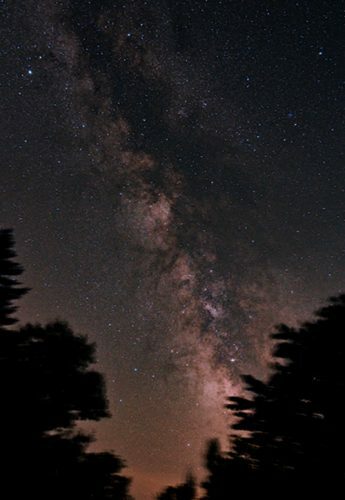 As the end of summer approaches, so does our nightly showing of the Milky Way core across the night sky. On Friday, September 2nd I had the pleasure of visiting one of my favorite places on Earth – The CCCA Observatory. This is a dark sky area reserved for members of the Royal Astronomical Society of Canada (Niagara Centre) From here, the Milky Way dominates the night sky. 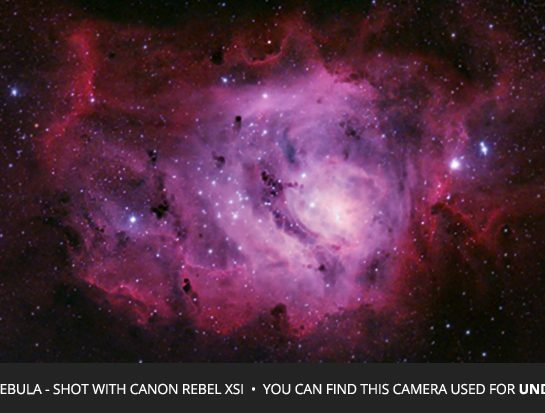 Bright nebulae like the Swan Nebula, Lagoon Nebula and galaxies like Andromeda can clearly be seen naked-eye. 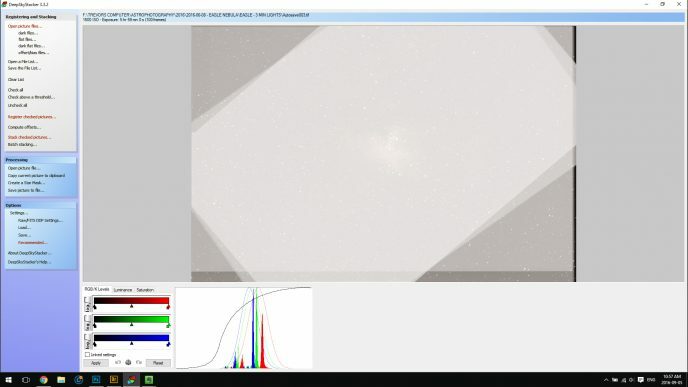 Deep-sky objects in the Milky Way core continue to receive my full attention at the moment, as experience has taught me that these precious jewels only reveal themselves for a short period of time. This mindset was responsible for my deep-sky object of choice on Friday night. With over 2 hours of photons already soaked into this summer-long project, I opted to finalize this image over photographing a new target. When the conditions are as perfect as they were on Friday, this decision is not made easily! 9 out of 10 times I will decide on the latter. My reliable equipment and proven methods for a successful night of imaging were evident in the prompt and ultra-smooth execution leading up to my first 5-minute exposure of Messier 16. Balance, polar alignment, calibration and focus were extremely accurate – what could be better? I am reminded of the countless nightmare astrophotography sessions of the past where I had to learn this hobby the hard way and waste a perfect night under the stars. Not tonight. The temperature plummeted to 12 degrees by 1:00am, well below the forecasted low of 16. The drastic temperature drop from 25 degrees during setup created a staggering amount of moisture on my electronics. Seeing your beloved camera and telescope dripping in water does not get easier to accept over time. It is an unnerving yet common experience for astrophotographers. 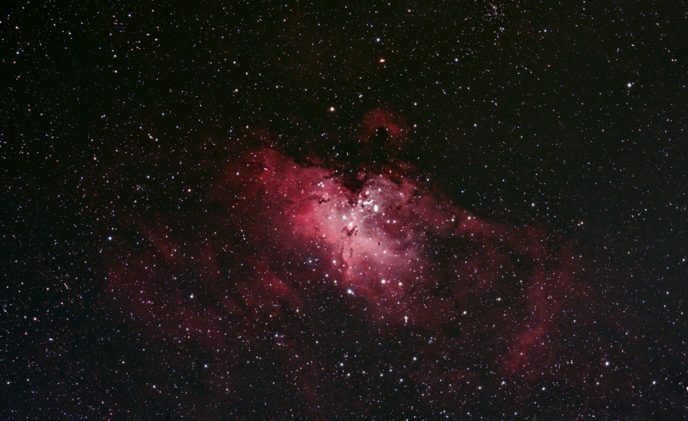 The first few frames I captured of the Eagle Nebula looked fantastic. The focus and framing of the 300-second exposures were exceptional. I continued to collect light on M16 well into the night until my frames began to brighten slightly due to low atmospheric conditions as the object began to set in the west. 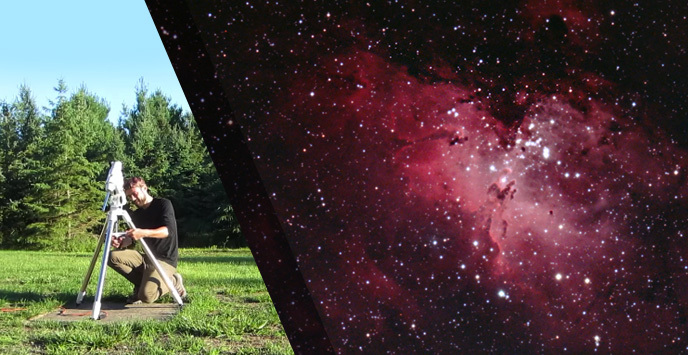 Although it didn’t make it into the video, I did shoot over 2 hours on another deep-sky object after the Eagle Nebula. I decided to take full advantage of the pristine dark skies by shooting a subject of great difficulty from the city. 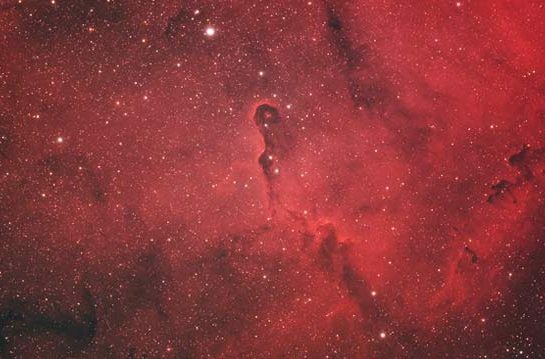 The Elephant Trunk Nebula has eluded me for years despite my keen interest in this concentration of interstellar gas. My attempts from the backyard this year have been less than promising, with far too little exposure time to produce a fair documentation of IC 1396. 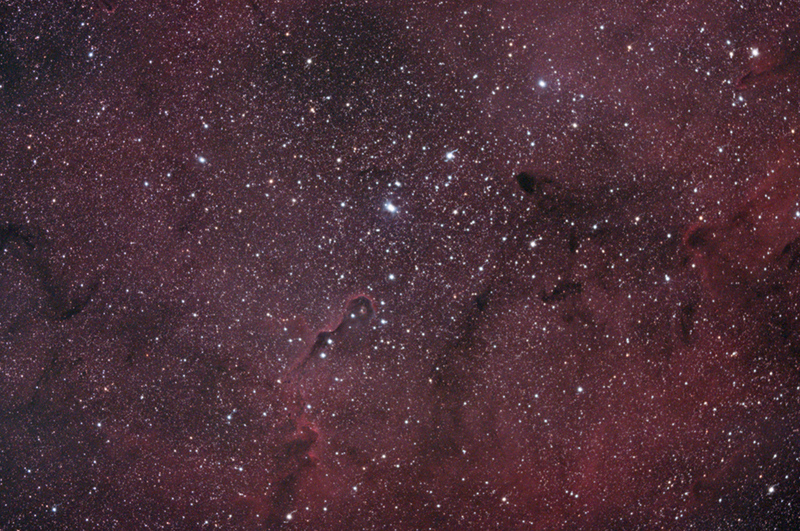 In September 2018, I revisited the Elephant’s Trunk Nebula in a new video and post. This time, I used the Sky-Watcher Esprit 100ED APO and a cooled CMOS camera to capture this target. The duo-narrowband filter I used helped isolate the nebula from my city sky. After soaking some serious dark-sky time on the Elephant’s Trunk, I diligently placed the cap on my telescope objective and began taking a set of dark frames. By this point, the Milky Way had traveled to the other end of the sky, with the summer deep-sky favorites now long-gone. I took some time to enjoy some familiar constellations rise from behind the Earth. Orion made its ominous debut over my campsite, so I took full advantage of the photo opportunity. In the early morning hours of September 3rd, the constellations provided a haunting warning of the cold Canadian Winter ahead. After snapping a few exposures, it was off to bed to conclude my night of camping under the stars. It was a lot of fun putting the video together, and it made the entire trip that much more memorable. Aside from providing value to those learning about Astrophotography, the videos on my YouTube Channel serve as a timeline for my journey. One that is that I am happy to share. This website is constantly receiving revisions and updates, to improve its functionality and the way it delivers useful information. Please excuse any hiccups as we grow! I have recently added plenty of useful information to the resources page, to make sure that fans of this website are aware of the tools I use to capture and process my astrophotography images. You may have also noticed that the photo gallery section has also evolved over time. 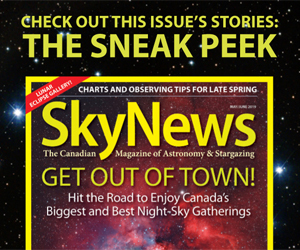 Lastly, to those of you who have been so kind to subscribe to AstroBackyard in their e-mail, I promise the first edition of this newsletter will be worth the wait! Nice Job Trevor. I am a beginner here and am somewhat intimidated by the prospect of a steep learning curve. But I am so impressed by the beauty of the work that I am motivated to press forward. I happen to live close by, Hamburg, NY. My dark sky site closest would be Cherry Springs, PA. I have found that your videos have been very helpful. Any words of wisdom? I have been to St. Catharine’s many times (when my son played travel hockey) so I am somewhat familiar with the area. Would like to accompany you on a mini field trip sometime to observe your shoot.